It’s a fact that Microsoft Excel is one of today’s most powerful and versatile business tools, but if you’re not conversant and efficient with its basic functions, formulas, commands and keystrokes, you’re setting yourself up for frustration and disappointment. 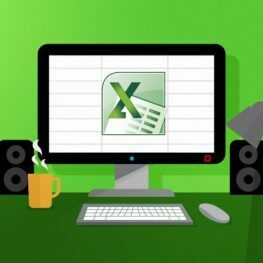 This course teaches you Excel fundamentals, how to work with spreadsheets and then moves on to advanced topics like formulas, functions, PivotTables etc. The Microsoft Excel 2007/2010/2013 course lets people of any technical level learn exactly what they need to know at their own pace.